For previous cardholders, the last date for deposits on the Chase issued TAP card will be July 7, 2016. No money will be transferred to the new Way2Go Card that was originally deposited to a Chase card. The new debit cards are issued by Comerica Bank and will replace your current Chase debit card. On July 9, 2016 deposits will begin on the Way2Go Card. It is the claimant’s responsibility to make sure that the Department of Labor has their current address on file prior to June 26, 2016. 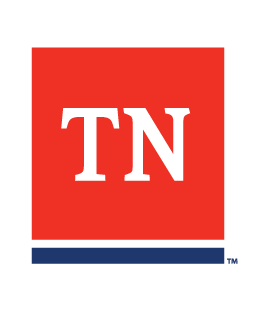 Should you need to update your address, please do so online by going to Jobs4TN or by calling (615) 237-5333. Way2Go Cards will be mailed out to all claimants currently signed up for debit cards during the first two weeks of July. Cards will be sent to the address on record in an envelope with a return address of PO Box 80529 Austin, TX 78708. Once the card is received it should be activated and a PIN created immediately. This can be done using the Way2Go Card mobile app (Apple Store | Google Play), online at GoProgram, or by calling Way2Go Card customer service at 1-855-462-5887. Claimants are advised to use the remaining funds on their Chase card within 30 days of the transition to the new card. After those 30 days all card issues will need to be addressed directly with Chase at 1-866-429-9835 or online at www.myaccount.chase.com.